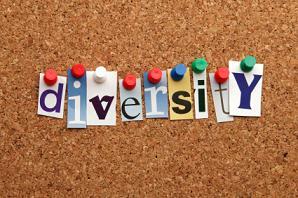 Diversity in a modern workplace environment can mean a number of different things. It can be taken to mean employees of a different race, ethnicity, disability, age, religious beliefs and also sexual orientation. As the UK’s population becomes ethnically diverse trying to define diversity and combat inequality is becoming more complex and challenging. However in a country as ethnically diverse as the UK currently is, it is important that employees in a workforce are treated equally by companies. There are a number of important reasons for this the main ones being that employees who get along together are likely to be more productive. Another reason is that equalities legislation makes it a legal obligation and duty on employers to treat all of their employed staff fairly and to take practical steps to ensure they are not discriminated against. Recently within the UK a broader meaning of the word 'diversity' is now taking shape. Diversity can now be taken to mean people from different social classes, educational backgrounds, religious and political beliefs and even accents. Current laws and regulations aim to tackle prejudice and discrimination in work environments. Now as it is such a sensitive area diversity managers must device policies and practises that are practical and fair and that do not upset anyone unnecessarily. This can be quiet a challenge for practitioners and they should always seek guidance if they are not sure. On this page we aim to offer information on diversity issues which we feel will be useful to organisations in dealing with and responding to the needs of the communities they serve. This guidance should help employers in developing strategies to promote inclusion for all.